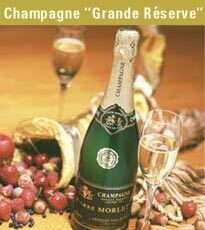 The Pierre Morlet Champagne style is rich, harmoniously balanced, and refined. The body is round and elegant with fruity notes of raspberry and wild strawberry, intermixed with hints of violet, expressing the predominance of the Pinot Noir. The Chardonnay adds structure and finesse as well as zesty lemon flavors with classic notes of William pear and acacia. The chalky subsoil into which the vines plunge their roots, provides the wines with a strong mineral background. The Champagnes exhibit complexity and depth brought by the diversity of the terroirs, the old age of the vines, the vinification, and the élevage (barrel ageing) in French oak barrels. Finally, the superbly small size and persistence of the bubbles in the glass prove that only the highest quality techniques are applied and that the Champagnes are released only at maturity. 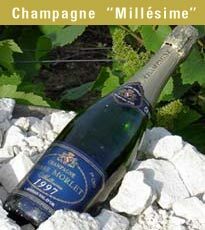 Ten to fourteen thousand cases of Pierre Morlet Champagnes are produced every year to satisfy a faithful clientele of fine wine connoisseurs. Some of these devoted clients belong to families that have been appreciating the Pierre Morlet Champagnes for four generations.